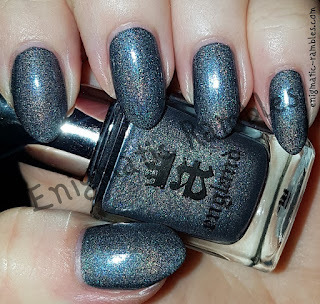 Today I am going over the grey polishes I have gotten during 2018. 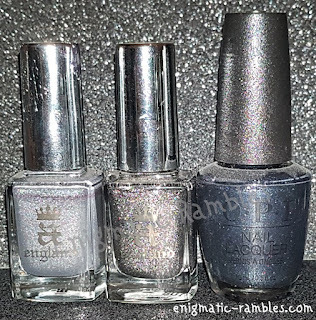 A England - Jane Morris is a mid grey holographic polish. I really like how it is prismatic but not in your face bright. 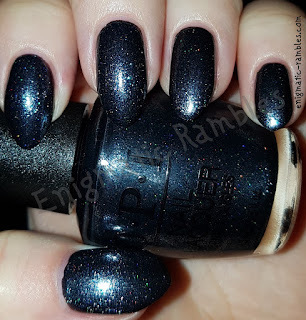 OPI - Coalmates is a metallic charcoal shade, with some scattered holographic particles. And the winner is: A England - Moth A Fairy! This polish is deeper in tone than Jane Morris, but equally as holographic. 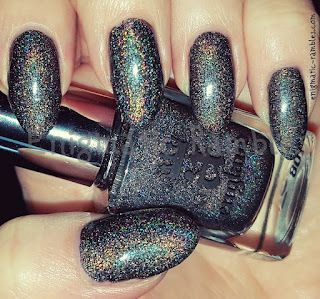 A dark grey, moody, holographic polish.